Synonyms: Kateikyoushi Hitman Reborn!, Home Tutor Hitman Reborn!, Minna no Sasai na Nichijou, Kaibutsu-Zukai Tsuna! Does Tsuna and Kyouko ever get together? When will this ever get serious? What chapter picks up right after the anime? few questions about hitman reborn? 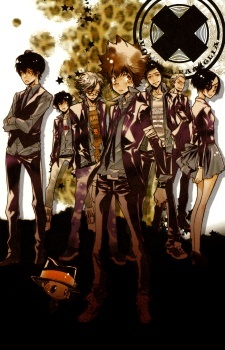 should I continue with Katekyo Hitman Reborn? So did he end up with Kyoko? Who would the new arcobaleno be if their curse was not lifted?